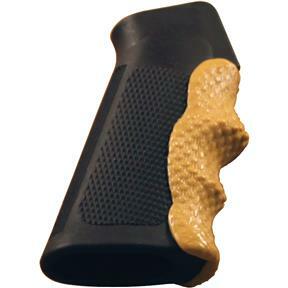 Fully customize your firearm with RatGrips patented thermo-polymer material for an ergonomic and perfectly molded grip. Unlike other grips on the market, RatGrips are not pre-made or pre-molded, they don’t glue or bolt on, and are removable without leaving any residue. The material can be textured from a very smooth to a coarse finish with all levels in between. RatGrips allow the user to reheat and remold the grip hundreds of times to ensure that a perfect grip is obtained. 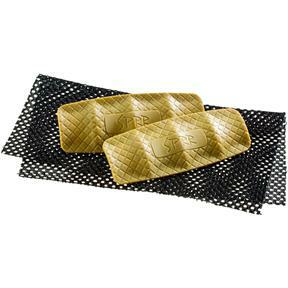 When cooled, the material has the right blend of comfort and shock reduction. 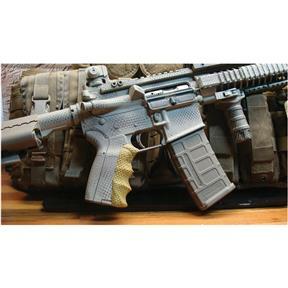 Includes 2 SPRR grips, texture cloth and picture instructions. Dark khaki color.